Following the inspiration and insights of Dr. Maria Montessori, the Montessori Education Center of the Rockies takes seriously the privilege and responsibility of preparing teachers for the sacred work of transforming lives, their own as well as those of their children and communities. It is a rigorous program embedded in a framework of compassion and advocacy. 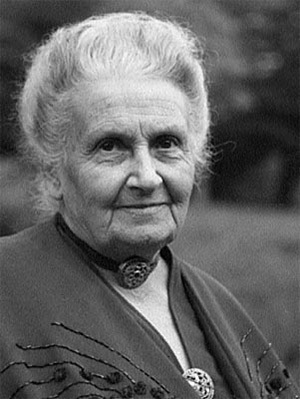 Maria Montessori (1870 – 1952) was a woman with a vision. She combined her scientific and academic knowledge with her strong spiritual grounding in service of children and a more peaceful world. She was Italy’s first female physician and she was chosen to represent her country at two different women’s conferences, in Berlin in 1896 and in London in 1900. She also became a professor of anthropology in 1904 at the University of Rome. This background served her well as her desire to help children grew and she began work in 1907 with a group of sixty young children of working parents in the San Lorenzo district of Rome. This was the first Children’s House, or Casa dei Bambini. Montessori education is child-centered and developmentally focused and it emphasizes the integration of intellectual, physical, emotional, social, and spiritual growth. It has proven effective for children of diverse cultures and socioeconomic levels. Montessori education was reintroduced in the United States in the 1960’s and since that time there has been a growing interest in this approach as a way to meet the individual needs of students in an increasingly diverse society. It is also seen as a way to prepare them to be global citizens.